This presentation twins with an hour-long, open-ended question and answer period. The hour long slide show and talk provides an extensive and intensive review of the subject of rain shamanism in the Far West throughout California and the Great Basin. The discussion includes a review of a unique weather shaman's bundle and also first-hand accounts of Native practices and the theology of weather shamanism. Extensive references to archaeological data (rock drawings and paintings, charmstones, crystals, shell ornaments, and other elements of Native material culture) are included and amplify the discussion. The prominent revitalistic movements of the 1870 and 1890 Ghost Dance Religion have an important element of rain shamanism integrated into themes of ancestor resurrection and world renewal. Included in the presentation are new discoveries regarding Ghost Dance rock paintings in eastern California and the Great Basin. The presentation highlights working hypotheses that weather shamans ritually create various elements of weather through homeopathic and sympathetic magic directed at creating sacred wind, clouds, rain, and thunder. 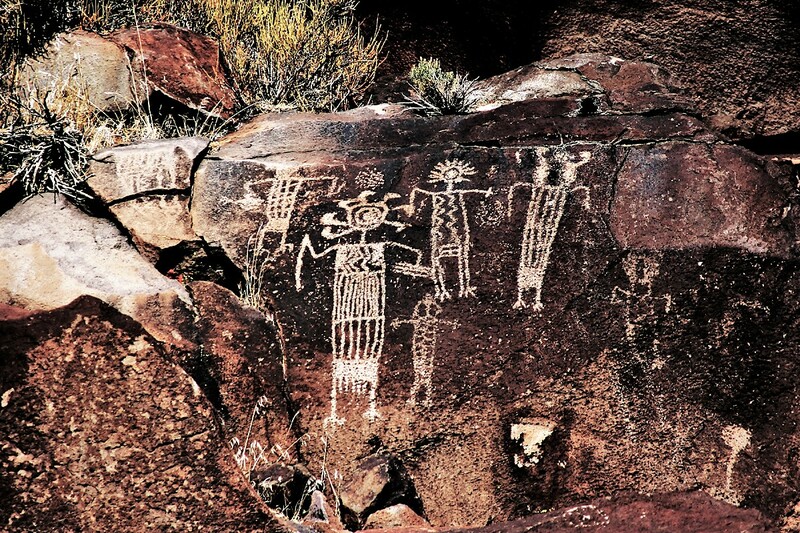 Rock art engravings of the Coso Range in eastern California. Image: Kimberley Robinson. Dr. Alan Garfinkel (above) is a California and Great Basin anthropologist/archaeologist principally known for his work with the Native peoples of California and the Great Basin and for his studies of Native American rock art of the Far West. He has been recognized for his pioneering anthropological studies as the recipient of the 2008 and 2011 California State Governor's Award for Historic Preservation. He received his Bachelor's degree at California State University, Northridge and his MA and Ph.D. at the University of California, Davis. 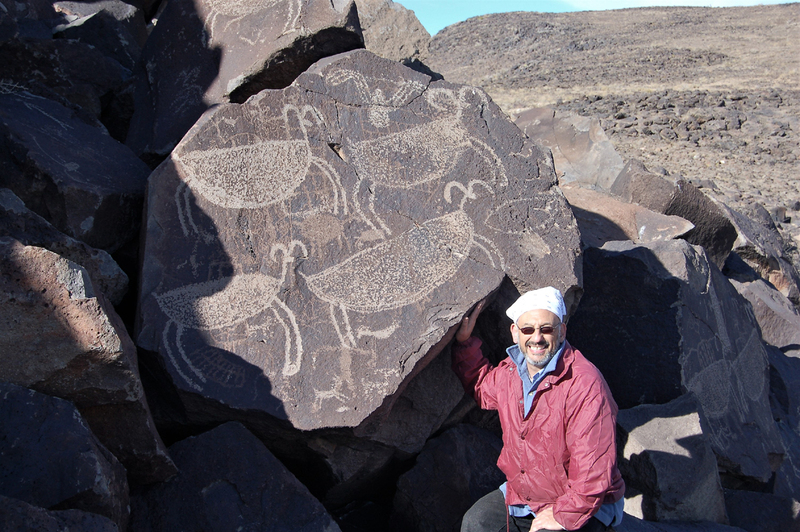 Dr. Garfinkel is currently a cultural resource management consultant with AGG Associates and serves as President of the California Rock Art Foundation. He has served as Principal Investigator for cultural resource preservation projects totaling $10.5 million dollars. He is the author of five books including Archaeology and Rock Art and Handbook of the Kawaiisu and has published 50 scientific articles in academic journals in North America, India, the United Kingdom, and Australia. He has been an invited guest scholar to universities in California, a research facility in Colorado, a forum in Mumbai, India and to the University of Guanajuato in Mexico.